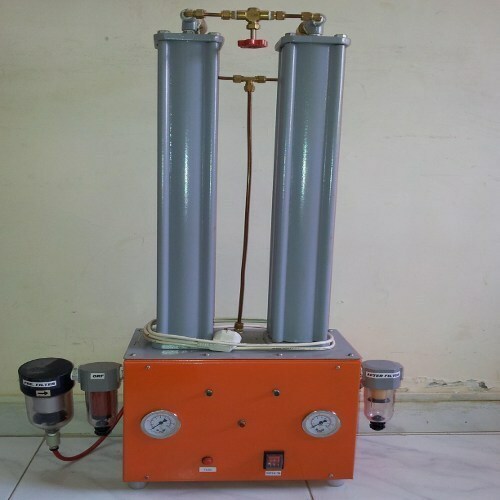 We, A - 1 Air & Gas Co., established in the year 1987, are among the prominent manufacturers, suppliers and exporters of an extensive range of the supreme quality Air Compressors and Dryers. The product range offered by us is inclusive of Air Cooled Air Compressors, Air Dryers and Micro Air Filters & Regulators. By using cutting-edge machinery, these products are manufactured in compliance with the international quality standards. These products are available with us in user-defined specifications. Owing to our large production capacity and well-equipped warehousing unit, we have been able to offer these products in bulk quantities. Available with us at industry leading prices, these products are highly appreciated among our customers. Owing to their compact design, impeccable finish and durability, these products are highly demanded in the market. We are exporting our products to Saudi Arabia, Malaysia, Canada, USA. We have been able to cater to the precise requirements of our valuable customers in an effective ways due to our ultra-modern infrastructural facility and a team of diligent professionals. Being a reputed name in this domain, we ensure that the premium quality of our product range is never compromised. We have attained a huge clientele across the globe due to our ability to meet the bulk orders within the assured time frame. I.I.T. Mumbai, I.H.B.T Himachal Pradesh, L&T Ltd. Mumbai, Tata Motors, Pune and Parle Bisleri, Mumbai are our prominent customers.